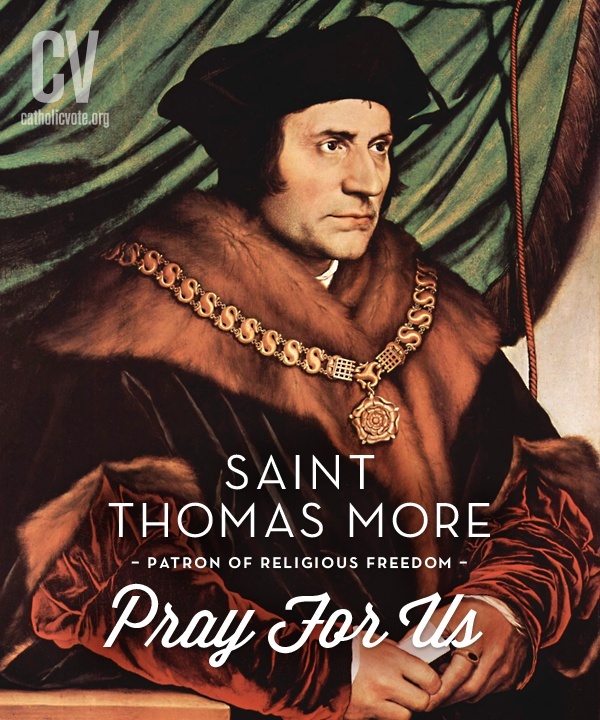 Let us pray: O Glorious St. Thomas More, Patron of Statesmen, Politicians, Judges and Lawyers, your life of prayer and penance and your zeal for justice, integrity and firm principle in public and family life led you to the path of martyrdom and sainthood. Intercede for our Statesmen, Politicians, Judges and Lawyers, that they may be courageous and effective in their defense and promotion of the sanctity of human life - the foundation of all other human rights. We ask this through Christ our Lord. R. Amen.